This is a sponsored article on behalf of bethere. Ever been to a coffee shop, restaurant or museum, only to talk to friends later and find out that you missed each other by ten minutes? Annoying, isn't it? 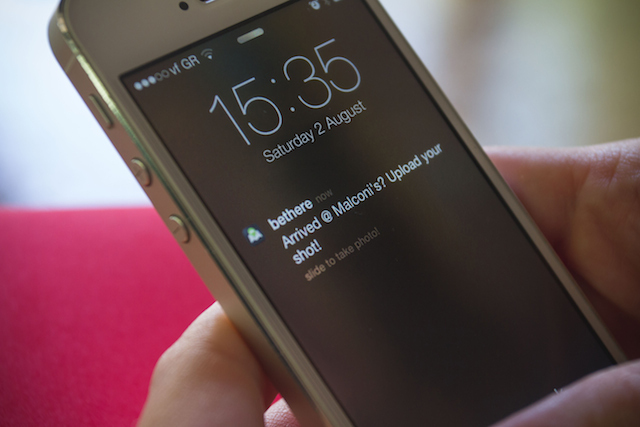 New app bethere solves this problem by letting you post your plans to Facebook before they happen. Kind of like a current "check-in", but for the future, because who needs to know about a great party after it's happened? You can let all your friends know where you're going to be and who's going with you, allowing other friends to join in the shenanigans. It works the other way round too. If you've been wanting to see a new film after work but no one in the office seems interested (what do you mean zombie western flicks aren't your thing? ), it can be a drag going alone. But when you see that another chum is planning to go along tomorrow, suddenly you've got someone to go with. It's a great way to plan your life, especially because in a massive city like London, it's sometimes hard to know where to begin. But when you see that two of your friends are hitting the West End shops at 11am, others are having a late lunch in Chelsea, and yet more are boozing in the bars of Brixton that evening, suddenly your day is planned for you — with very little effort on your part. 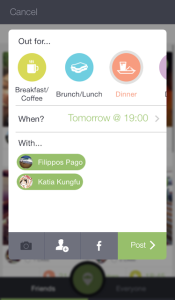 Because it's purely a social planning app, rather than a full social media profile, bethere is simple to use. All you need to do is enter where you plan to be and where, and the app does the rest. It will even remind you to capture the moment at your chosen hotspot, so you can upload photos of your japes, or connect to Instagram and show mates who opted out just how much fun zombie westerns really can be. Worried about safety? You wise owl, you. bethere is a Facebook login network, and you have the option to only allow your friends to see your posts, so no strangers crashing your Friday night dinner plans uninvited. bethere is a free app and can be downloaded via the App Store.